Courtesy of My Realty, Krista Marvin. Stunning turnkey condo located in the City of Laguna Niguel. This spacious 1 bedroom 1 bath home has over 644 square feet of serenity. This unit is move in ready & shows like a model with its gourmet kitchen that has quartz counters, custom back splash, stainless steel appliances and lots of storage. The open floor plan with recessed lighting is perfect for entertaining. The balcony located off the living area allows for outdoor living during the warm summer days! The cozy bedroom has a large walk in closet. Enjoy the completely upgraded bathroom with its beautiful quartz counter tops, custom tile flooring, and the amazing walk-in shower features custom subway tiles and dual shower heads…Also for your convenience there is a laundry closet that holds a full size washer and dryer! There is also a 1 car detached garage with cabinets for the extra storage! This home is truly a must see to appreciate! Please, send me more information on this property: MLS# RS19028486 – $364,900 – 25234 Via Lido, Laguna Niguel, CA 92677. 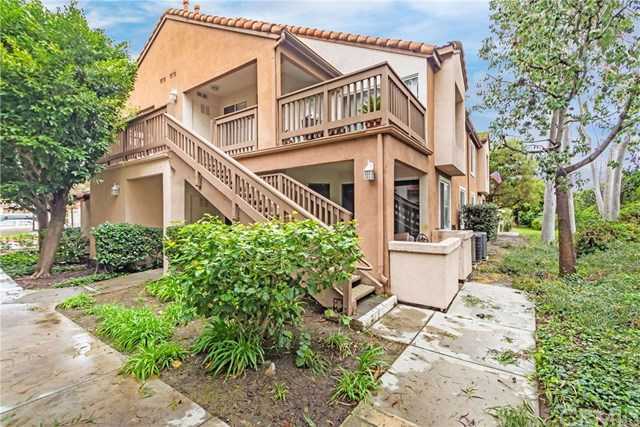 I would like to schedule a showing appointment for this property: MLS# RS19028486 – $364,900 – 25234 Via Lido, Laguna Niguel, CA 92677.